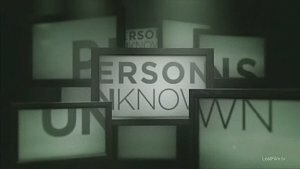 Persons Unknown is a mystery drama television mini-series, which was premiered in summer of 2010. 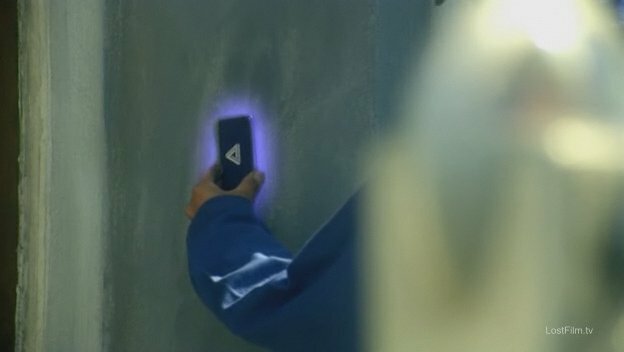 Seven strangers awaken in a hotel, with little to no knowledge of how they got there or where they are. The hotel and small 1950's-era town nearby are completely filled with cameras and microphones. Over the course of the following weeks, they are subjected to significant psychological and physical stress. One of them is eventually revealed to be a member of "The Program". Who or what the program is, what their motives, resources, or support are, is unclear. The only indication is that the Program is manipulating them, attempting to influence their behavior, thought patterns, and beliefs. 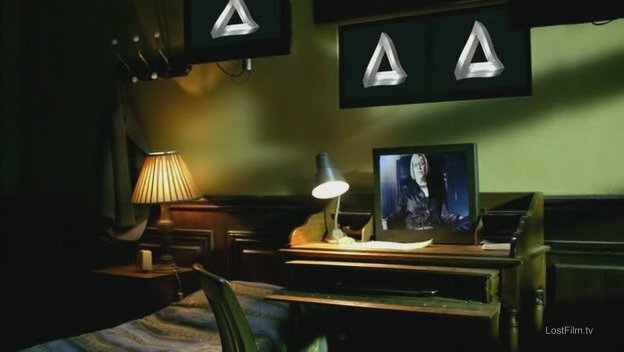 The secret organization, which manage the Program, use impossible triangle as it's logo. 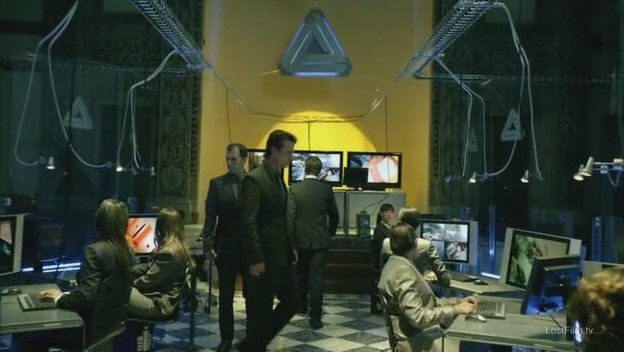 It appears on walls of control center of the organization, on the gadgets, which use workers of the organization. 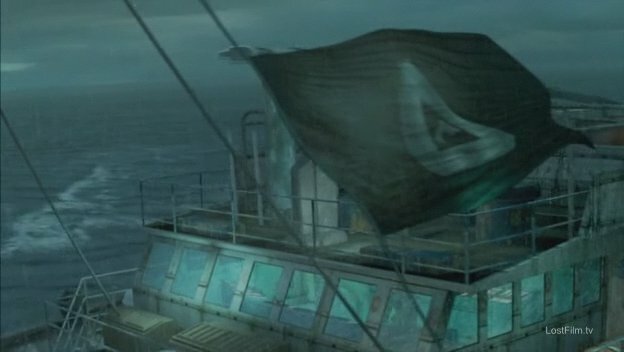 It also appears on monitor screens as screensaver and on flag of the boat, where main characters of the film were set for second stage. 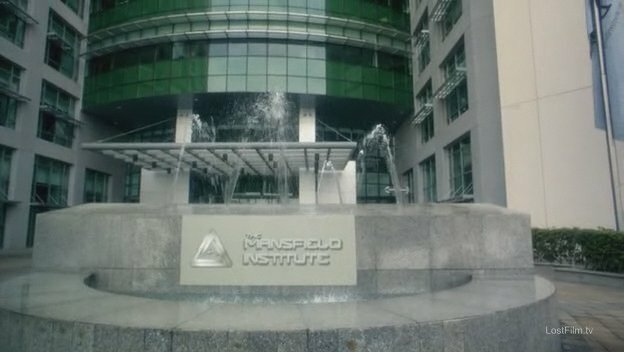 Impossible triangle is also logo of the Mansfield Institute, which is sponsored by the secret organization.